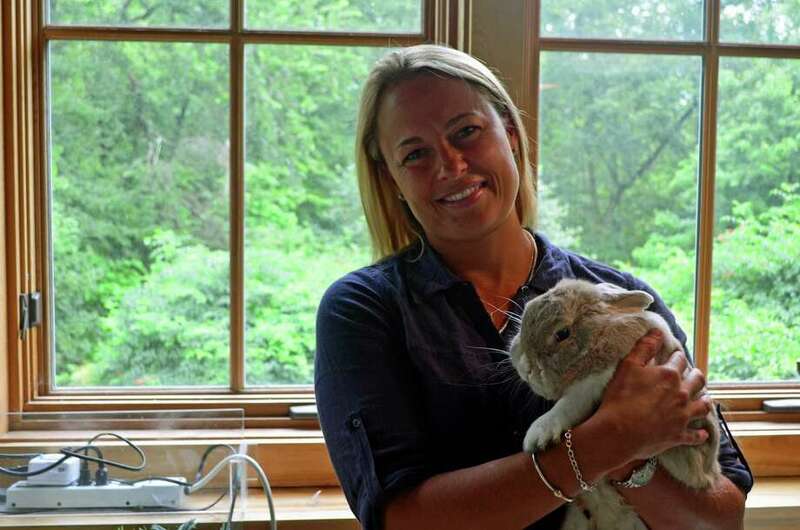 In the zoo room of the Darien Nature Center, Elizabeth Hearle is the new executive director. At the urging of her friends on the board of the Darien Nature Center, Elizabeth Hearle applied for the open executive director position, and much to her excitement, she got the job. "When I started the interview process, the more I learned, the more excited I got," Hearle said. Hearle replaces Lynn Hamlen, who retired after 20 years at the helm. "I wasn't looking for a full-time job," said Hearle, a mother of three. For some, starting a new job can be rocky while learning the ins and outs of an organization, but Hearle has found the transition has gone smoothly. "It's been wonderful," she said. "It really has been an easy transition. I was worried. I hadn't done the full-time thing with my children. They've adapted beautifully." While taking over as the head of the nature center, which is situated at Cherry Lawn Park on Brookside Road, was not what Hearle intended months ago, she said it makes sense for her. "This job allows me to do everything I love," said Hearle, including environmental science, nonprofit work and teaching. Hearle graduated with a teaching degree and for the past four years has taught preschool at St. Luke's Church. She also was writing some curriculum for programs at the center. In years past, Hearle worked with the Darien-based Person-to-Person and was involved in plenty of other volunteer work, she said. The nature center's offerings continuously change. The staples of the preschool classes and programs with the senior center are available but reaching out to the other community members, such as middle school students, is something Hearle is looking to expand. "I really just enjoying the dynamics of how this place works," Hearle said. "There's never a dull moment." Hearle said the center is continuously getting calls about injured animals that need rehabilitation, which the center offers. It also suggests places that can attend to the animals when it cannot. Hearle said the most exciting moment in the two months that she has been working at the center came two weeks into her new job. "The building was hit by lightning," Hearle recalled. "A tree out here was hit and it came in through the cable line. The security system went down. The telephone system went down. The phone lines were down and the theater was completely destroyed." Quickly, Hearle needed to learn about insurance claims and deductibles. In the past two months, Hearle has been flung into the programming, teaching and fundraising at the center, but she said she loves it. She thanks her friends for pushing her to submit her resume for the position of executive director.